Viezu Technologies offer ECU remapping for your 300C 3.0 V6 CRD 215 bhp (2005-2010), so you can get the greatest out of your vehicle. Viezu remaps are developed at our HQ on our 3000bhp dyno for our customer’s exact requirements, so you can be sure that you’re getting the best for you and you’re 300C 3.0 V6 CRD 215 bhp (2005-2010). Get your vehicles remapped safe in the knowledge that Viezu offer a 30-day money back guarantee that we offer on all our chip tuned. Save money on fuel without reducing the power of your engine with a Viezu economy tune. 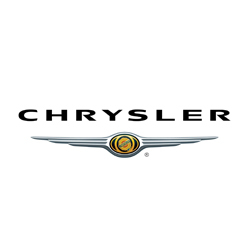 Considered one of Detroit’s most famous car manufacturers, Chrysler is one of the many vehicle manufacturers that Viezu is proud to offer engine remapping and ECU tuning for. Viezu has developed a range of Chrysler chip tuning and Chrysler ECU remapping services for the majority of the Chrysler range. These remapping services can be completely tailored to individual needs ensuring no matter what you need Viezu can provide it. Viezu’s Chrysler chip tuning will improve overall power and torque, driveability and throttle response as well as improving Chrysler fuel economy and fuel efficiency. Viezu has remaps covering both Chrysler diesel tuning and Chrysler petrol tuning too. Chrysler tuning is typically carried out through the vehicles OBD port which allows the process to be quick and efficient taking as little as 45 minutes to complete. Viezu offers all out performance remaps and fuel saving economy remaps for both the petrol and diesel Chrysler ranges. All Chrysler tuning and remapping work comes with Viezu’s no quibble money back guarantee and full underwritten insurance. All Chrysler tuning maps are created by our specialist team of ECU software and remapping experts and by using an environmentally controlled rolling road they are able to test the maps in both real life and simulated conditions. 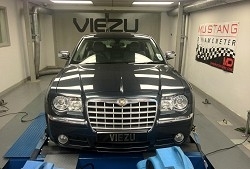 Viezu offers Chrysler remapping for the majority of the Chrysler range, such as the 300 c, Crossfire, Sebring and the Voyager. Whatever your Chrysler tuning and performance requirements the Viezu team and our worldwide dealer network are here to help. Please and let us know how we can be of assistance.